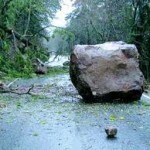 Ever feel like life keeps putting boulders in our way in the garden? Yep, sometimes it sure feels that way. But, it seems to me that many times in our adult lives we abandon our bliss too quickly when we run into obstacles; not allowing time to figure a way through or around the thing blocking our way. 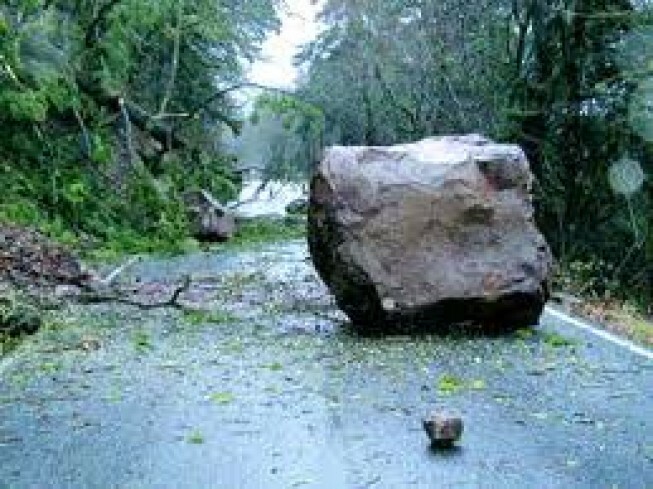 This post is in response to some of the issues many clients and HGELers have identified to me on Facebook as being that “boulder” or “boulders” blocking their path. Let’s try to make gravel out of that boulder! First, remove any preconceived notions you have of both words especially when you’re a beginner. You know sometimes we just can’t seem to get out of our own way! If you have expectations that your first season gardening or your first season in a new site is going to end in some kind of “coffee table book” garden of eden…you’ll be setting yourself up for disappointment. Not only is gardening “on-the-job” training, but gardening forces we instant-gratification-loving humans to SLOW DOWN and learn within Mother Nature’s timetable….not our own. We learn by reading and discussing with other gardeners, of course, but nothing is a substitute for getting out there and getting dirty in your own garden! This learning curve may take a few seasons to level out a bit to the point where you feel more confident. As a gardener, though, you are a life-long learner. You’re never finished learning which is why I love it. After a lifetime of gardening, certification as a Master Gardener and years teaching in school gardens, I continue to learn; returning to school last year for my certification in horticulture at UCLA. So…wipe away those expectations of grand “success” and look forward to small but important moments of success on which you will build season after season; improving poor soil, successfully starting your own seeds, taking your first harvest, becoming healthier and on and on. Whether big or small, they are all successes. As for “failures”. When we were children we really had no fear. As we grew and developed a fear of peer disapproval when we didn’t get things right, we began to be afraid of trying new things. How sad is that? I have to quote my dear ol’ Dad who said “If you don’t fail, you don’t learn.” So, set your fears aside, follow your bliss and take that first step…or shovelful! We’ll be learning together! Now…down to work! Here is a listing of some of the comments HGELers recently posted about what issues you all face in your gardens. I am listing some links that I think are helpful. When more info on a certain issue is available on https://www.groedibles.com/, I’ll put a link to the website as well. Have fun! Now there really is no such thing as “bad soil” unless of course it’s contaminated. Otherwise, if you look around you’ll notice that something grows in your soil….maybe just not what you want to grow in your soil! For a little lesson on soil textures, composition and tilth, please visit the Soil Evaluation, Prep and Management section of the Spring/Summer Gardening page on groedibles.com and see both fall/winter and spring/summer gardening sections. Soil texture: Texture refers to the size of the particles that make up the soil. The terms sand, silt, loam and clay refer to relative sizes of the individual soil particles. Sand is made up of the largest sized particles. Silt is medium sized and clay has the smallest sized particles. So soil texture dictates not only how well your soil drains, but also how well it retains nutrients and moisture. Soil texture types: Sand: Sand, being the larger sized particles, feels gritty. There is a major difference in soil characteristics between fine sands and medium to coarse sands. Fine sands add little to the soil characteristic and do not significantly increase large pore space. An example of fine sand is the bagged sand sold for children’s sandboxes. For a soil to take on the characteristics of a sandy soil it needs greater than 50-60 percent medium to coarse size sand particles. Sandy soils have good drainage and aeration, but low water and nutrient holding capacity. Source: Colorado Master Gardeners Program Colorado Gardener Certificate Training Colorado State University Extension. Silt: Silt has a smooth or floury texture. Silt settles out in slow moving water and is common on the bottom of an irrigation ditch, riverbed or lake. Silt doesn’t add much to the characteristics of a soil. Water holding capacity is similar to clay. Clay: Clay particles are very small. Clay feels sticky to the touch. Soils with as little as 20% clay size particles behave like a sticky clayey soil. Soils with high clay content have good water and nutrient retention ability, but the lack of large pore space restricts water and air movement. Clayey soils are also rather prone to compaction issues. Loam: Technically, loam refers to a specific, well-balance soil texture. This term is often used loosely by gardeners to describe “ideal” soil. Loam, therefore has a mixture of different sized soil particles that allow it to resist compaction, allow air and water movement, retention of nutrients and…of course, has plenty of organic material. In other words…we as gardeners strive for a “loamy” soil. Soil Structure: Structure refers to how the soil particles hang together, how much of the soil particles form into clods or crumbs. No matter what your soil texture, loose crumbs and clods ensure ample pore space which allows air and water to pass through more easily. Keep in mind that good soil structure can compensate for less-than-perfect soil texture. 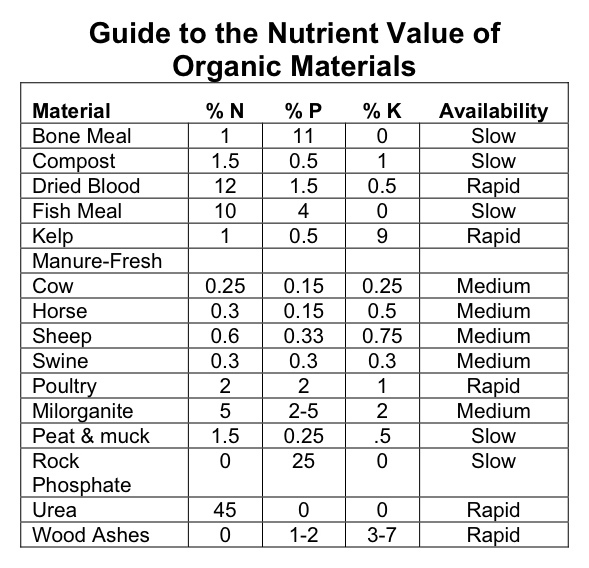 Abundance of organic matter is the main indicator of good soil structure. Organic matter may be all you need powdery soil or large, hard clods. Organic Matter: Organic matter consists of plant and animal material that is in the process of decomposing. Humus: Humus is organic matter in its final stage of decomposition. It is a fine, dark substance that is chemically very complex. Humus gives rich, fertile soil its dark color. It promotes healthy plant growth in many ways, from keeping existing soil nutrients available to enhancing soil structure for good root growth. Ok… now you know some of the soil lingo. Let’s get to the nitty gritty. If you evaluate your soil and decide that it’s in fairly good shape but needs some improving and you’re willing to put the time and energy into it in order to grow edibles, it CAN be done. Just remember that, for instance, to get a heavy clay soil to a loam state will mean that you’ll need to dedicate plenty of time and organic matter to soil improvement and then soil re-invigoration each and every year as your native soil will be constantly working to return to its native state…that’s just, well, natural! READY FOR THE BIG SECRET? Shhhhh….edibles prefer a nice loose (large pores – yeah for once, they’re a GOOD thing! ), rich in nutrient-rich humus (no, not the stuff that comes w/ pita chips) that has a fairly neutral to a bit acidic pH of around 6.8 to 7.2 There are exceptions…see “understanding the impact of soil pH” below. Knowing your soil texture. You must identify your soil texture and structure. Here’s a great resource on this from our friends ‘down under’, NSW Dept of Ag: http://www.namoi.cma.nsw.gov.au/sh_soiltexture.pdf. * Nitrogen is a part of all living cells and is a necessary part of all proteins, enzymes and metabolic processes involved in the synthesis and transfer of energy. * Nitrogen is a part of chlorophyll, the green pigment of the plant that is responsible for photosynthesis. * Helps plants with rapid growth, increasing seed and fruit production and improving the quality of leaf and forage crops. * Like nitrogen, phosphorus (P) is an essential part of the process of photosynthesis. * Involved in the formation of all oils, sugars, starches, etc. * Helps with the transformation of solar energy into chemical energy; proper plant maturation; withstanding stress. * Encourages blooming and root growth. * Phosphorus often comes from fertilizer, bone meal, and superphosphate. * Potassium is absorbed by plants in larger amounts than any other mineral element except nitrogen and, in some cases, calcium. * Helps in the building of protein, photosynthesis, fruit quality and reduction of diseases. * Potassium is supplied to plants by soil minerals, organic materials, and fertilizer. * Calcium, an essential part of plant cell wall structure, provides for normal transport and retention of other elements as well as strength in the plant. It is also thought to counteract the effect of alkali salts and organic acids within a plant. * Sources of calcium are dolomitic lime, gypsum, and superphosphate. * Magnesium is part of the chlorophyll in all green plants and essential for photosynthesis. It also helps activate many plant enzymes needed for growth. * Soil minerals, organic material, fertilizers, and dolomitic limestone are sources of magnesium for plants. * Essential plant food for production of protein. * Promotes activity and development of enzymes and vitamins. * Helps in chlorophyll formation. * Improves root growth and seed production. * Helps with vigorous plant growth and resistance to cold. * Sulfur may be supplied to the soil from rainwater. It is also added in some fertilizers as an impurity, especially the lower grade fertilizers. The use of gypsum also increases soil sulfur levels. * Helps in the use of nutrients and regulates other nutrients. * Aids production of sugar and carbohydrates. * Essential for seed and fruit development. * Important for reproductive growth. * Aids in root metabolism and helps in the utilization of proteins. * Chloride is found in the soil. * Essential for formation of chlorophyll. * Sources of iron are the soil, iron sulfate, iron chelate. * Functions with enzyme systems involved in breakdown of carbohydrates, and nitrogen metabolism. * Soil is a source of manganese. * Soil is a source of molybdenum. * Essential for the transformation of carbohydrates. * Regulates consumption of sugars. * Part of the enzyme systems which regulate plant growth. * Sources of zinc are soil, zinc oxide, zinc sulfate, zinc chelate. The simple secret to improving ANY soil type is adding plenty of organic matter (the best is from your very own compost pile of course but you can purchase it from a nursery or local source). 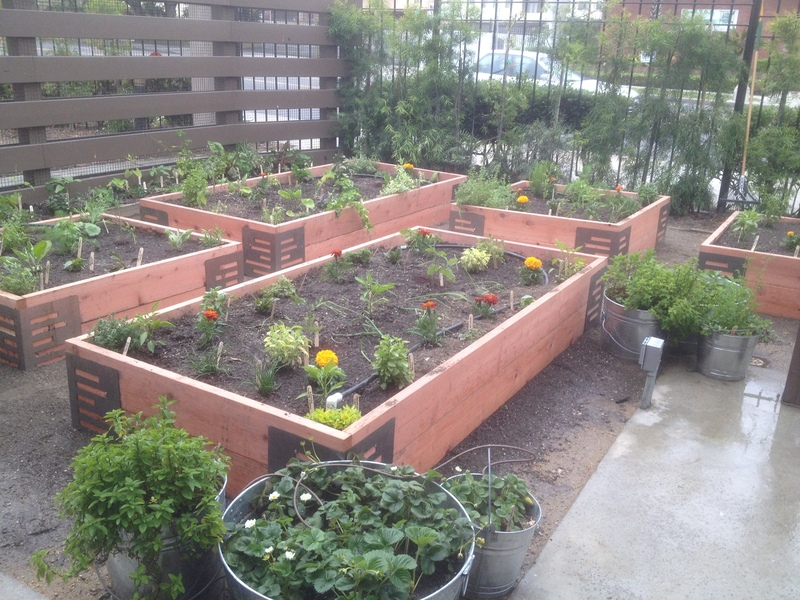 Cornell University Cooperative Extension "Fertilizing Garden Soil"
How much is effective? Well, it does depend on your soil, but typically I’d say you’d be wasting your $$ and time if you’re adding any less than two inches. 1. Native soil is just too much of a battle to improve to the point where it will support edibles. 2. Site is not level. 3. Ease of use (up higher than ground level). 1. Materials: There are many options when it comes to this. My preference is cedar or redwood. Do not use pressure treated wood. http://www.hort.purdue.edu/ext/treatedlumber.html I’ve also used ash blocks or broken concrete. Use recycled materials whenever possible. 2. Dimensions and depth: I don’t make the bed any wider than 4 ft just because that is what is comfortable for me to reach the middle and opposite side of the bed without . Depth: though many of these videos may recommend depths of just 6 inches, I prefer at least 18″ (24″ is even better) to accommodate the deeper rooting plants like tomatoes and watermelon. 3. Pest control: I attach hardware cloth or small square chicken wire (heavy gauge) to the bottom to keep out gophers and moles. I choose to use biological or cultural controls first, then move to organic chemical treatments only if absolutely necessary. Also see the HGEL photo album on pests and diseases and the fall/winter gardening section of groedibles.com for some pest info. Economic Barriers to Gardening. Well, in addition to the free advice at HGEL, you also have your local county extension offices – the home of those great Master Gardeners: http://www.csrees.usda.gov/Extension/ AND a great source for free seeds and advice for those of you that find yourself in need at http://www.dinnergarden.org/. They are a non-profit (also a fan of HGEL) whose mission is to end hunger in the US by giving folks who need them, free seeds and gardening support. Please visit their website, and if you can, donate to this worthy cause!